An absolute labour of love and it is out now!. 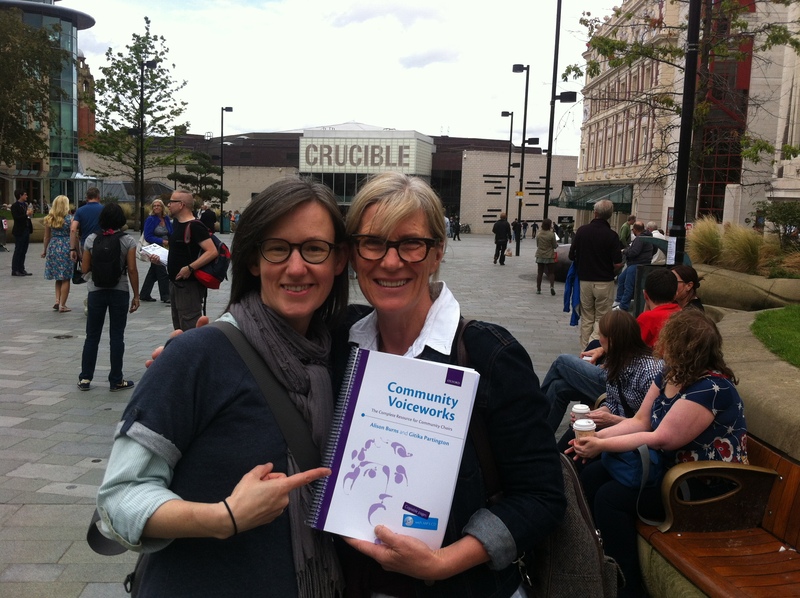 A photo of myself with Val Regan one of the wonderful composer community choir leader contributors…more to come.. Ali and I will attempt to have a photo with each of our contributors with book. 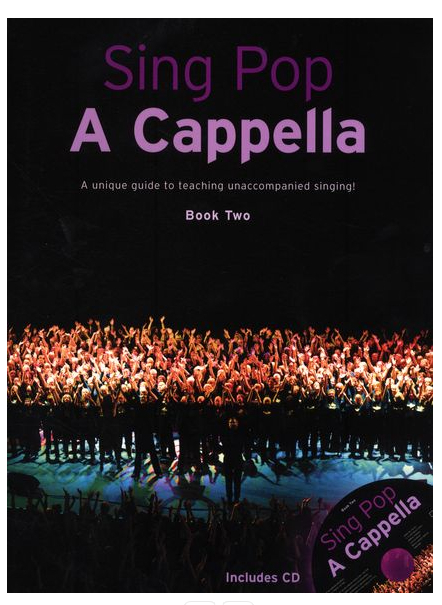 Sing Pop A Cpella books 1, 2, and 3. 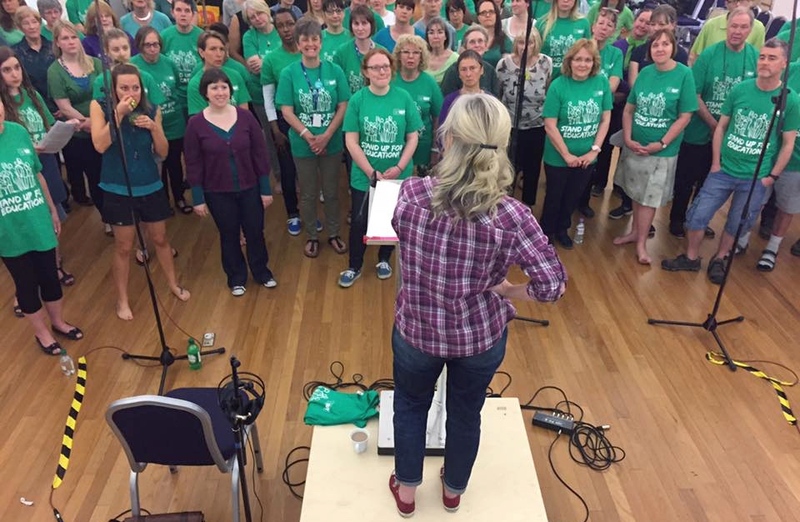 A fantastic array of wonderful pop songs that I am proud to say have all been sung by wonderful choirs such as The Bishopsgate Singers, The Highgate Newtown Community Singers, Earthly Voices, Shared Voices and groups all over the world. I am so delighted at being able to share them . I hope you will enjoy them too! There are songs for all levels of experiences and they all have been tried and tested and sung with deep joy. If you need extra help on how to tackle any of them..get in touch. LISTEN TO CHASING CARS ( BOOK ONE ) CHASING CARS AND HAPPY TOGETHER HAPPY TOGETHER ( BOOK TWO) SUNG HERE BY A LARGE CHILDRENS CHOIR 11 -16YRS WITH LIGHT PIANO ACCOMPANIMENT FROM THE CHORD CHARTS -LEARNED AND PERFORMED IN A DAY. All books can be bought on line form a number of sources. Hello, We’ve started a new quartet last year and we enjoy it very much!! 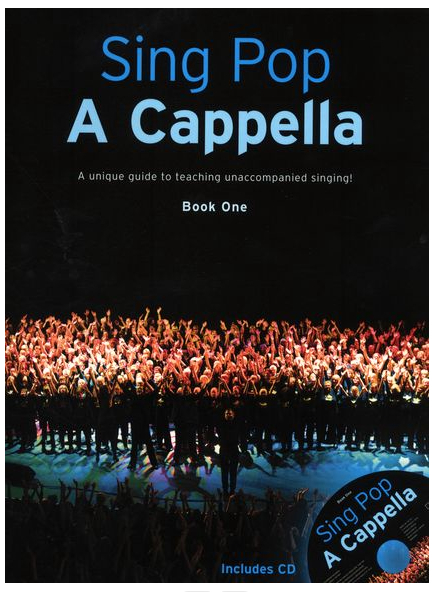 In the meanwhile we sing all the songs from your two books: “Sing pop A Cappella”. The rehearsal is so much easier and quicker with CD. You have our compliments!! Our question: When there will be book three?? We can’t wait! even worse if i could hear you! Our choir have relished all of Book One and I am about to order Book Two. ‘Chasing Cars’ was very moving when we sang it at The Festival of Hope for Refugees here in Apollo Bay, Australia. Your arrangements are perfect for us . I have just heard from the publishers and they are commissioning a book 3! That is excellent news, can’t wait to tell the choir! We had a photoshoot on the beach today because we are being sponsored by a community bank and with the money they gave us I bought 15 copies of book two. I’m going to have to order another 15 because I’ve already run out due to new members. Today on the beach, one of our members told the bank manager how amazing you are and showed her your picture on the book! PS. Would love to see some more spiritual numbers similar to Nobody’s Fault in Book Three if at all possible.